Sherbrooke Lake had been on my radar all season this year. 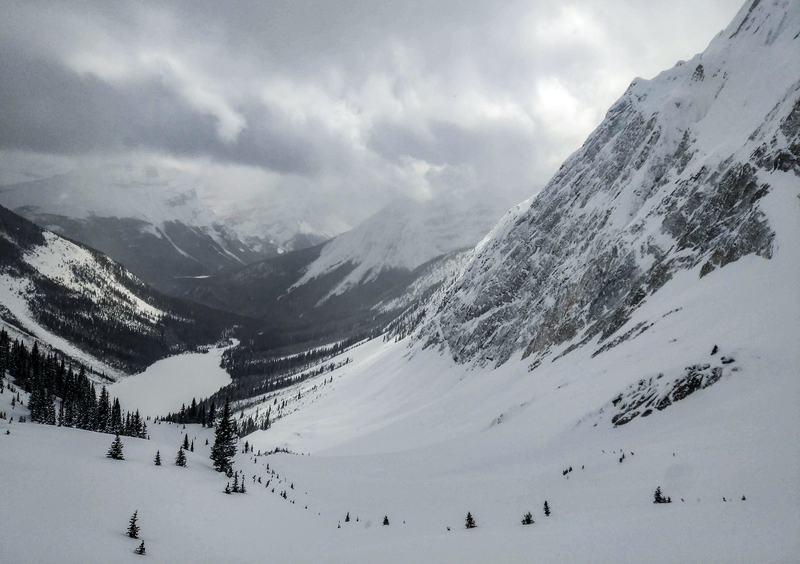 Yoho has such a different snowpack that it warrants its own sector on the avalanche.ca website. Fortunately, in our case, this meant the snow was deep and soft. Perfect for an afternoon of even bigger smiles. The route starts at the Great Divide Lodge in Yoho National Park, just west of the BC/Alberta Border. 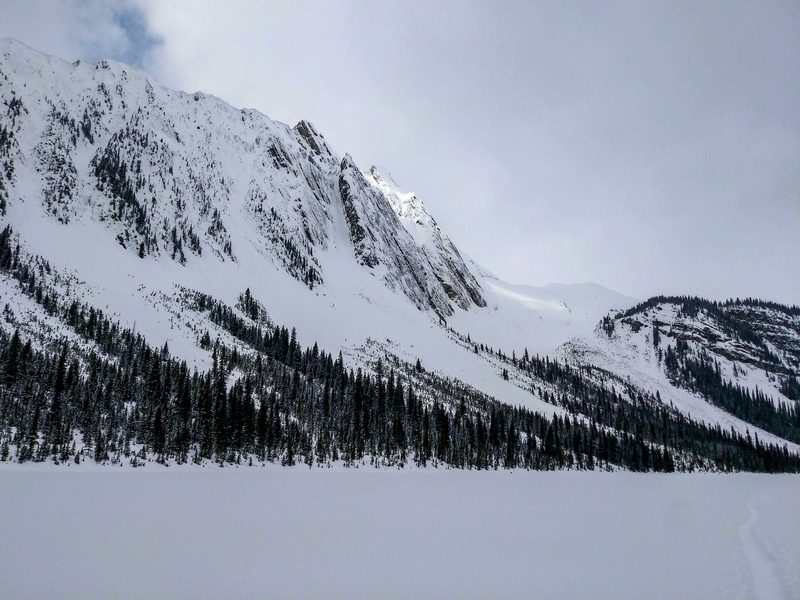 A 4km skin up a well-packed trail leads past access to Paget Glades on the right and eventually spits you out at Sherbrooke lake proper. 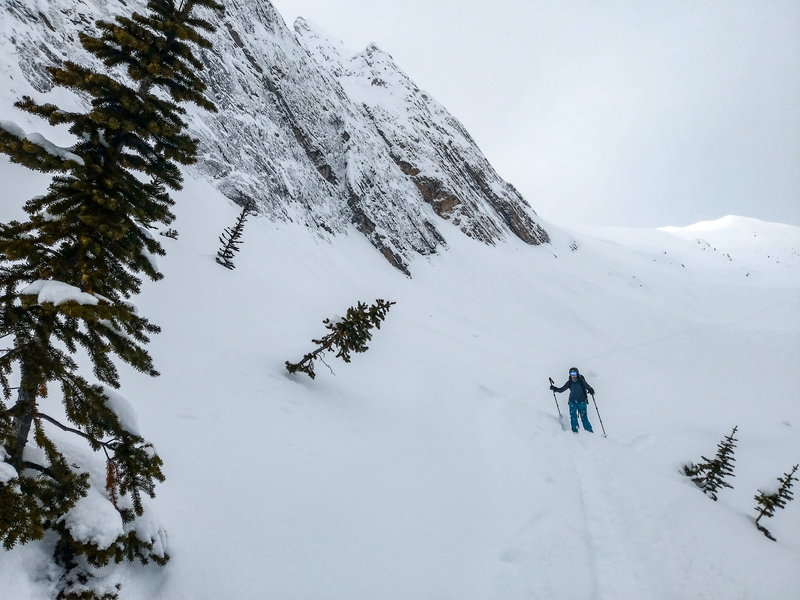 It becomes immediately apparent at the lake just how much skiable terrain there is in the basin, from long avalanche chutes on Paget, big couloirs and spins on Ogden, and high-fun factor benches at the end of the lake. Given the changing avalanche conditions, we set our eyes on the popular Ogden Bench area at the North end of the lake. 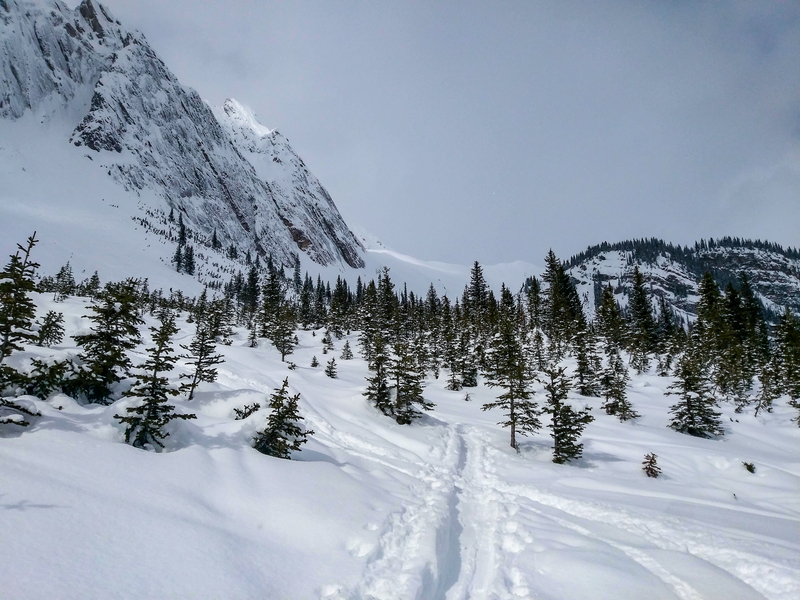 We skied up an old skin track through the trees below Ogden itself, slowly traversing out towards the very foreshortened bench further up the valley. From a distance, the bench looks fairly short and steep. 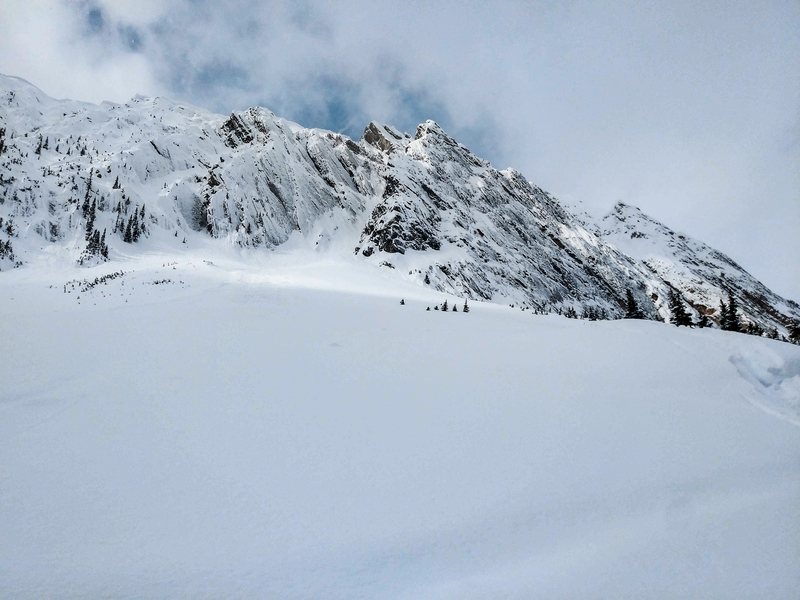 But as usual, getting closer tells the real story… almost 2 km of distance over a few hundred meters of elevation gain with some of the best snow we’d seen all year. 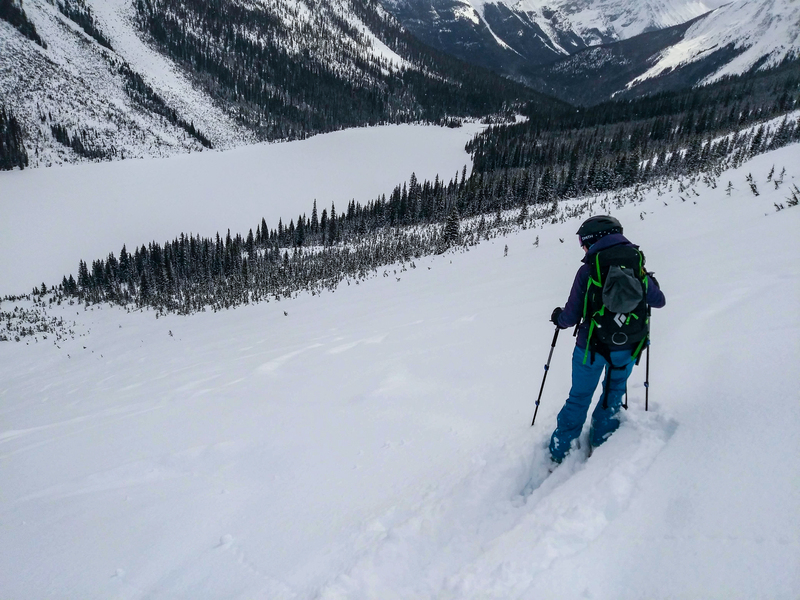 The Rockies might get a reputation for poor ski and snow quality, but days like this one prove that reputation wrong every time. A couple of hours from the care we found ourselves near the top of the bench. I wandered up a little further to poke around, but some whumpfing turned me around quickly about 100m from the top. Time to switch over and make some turns. If it’s not already apparent, we were in for a treat! The snow was deep and incredible. 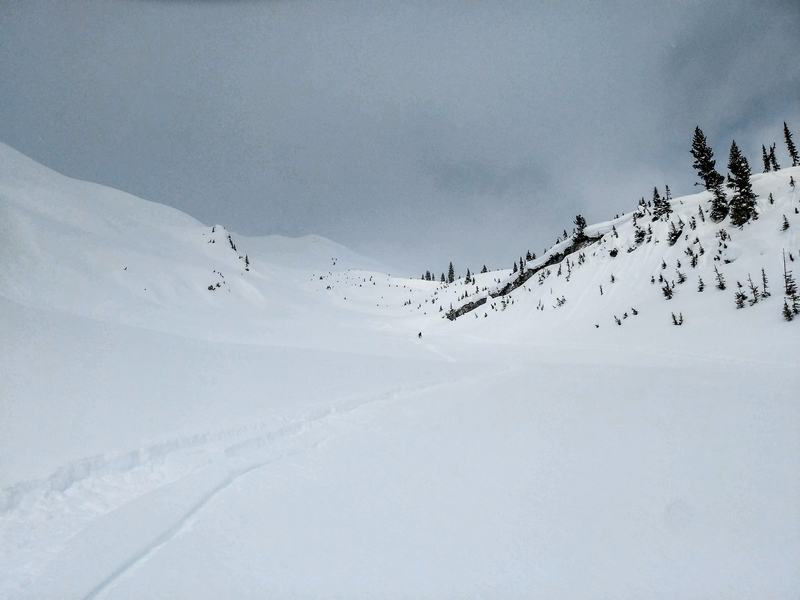 The top half of the bench was excellent ski quality, and after a small traverse below Ogden, the final avalanche slope to the lake offered a second shot of blower powder before we skinned up and descended to the car. 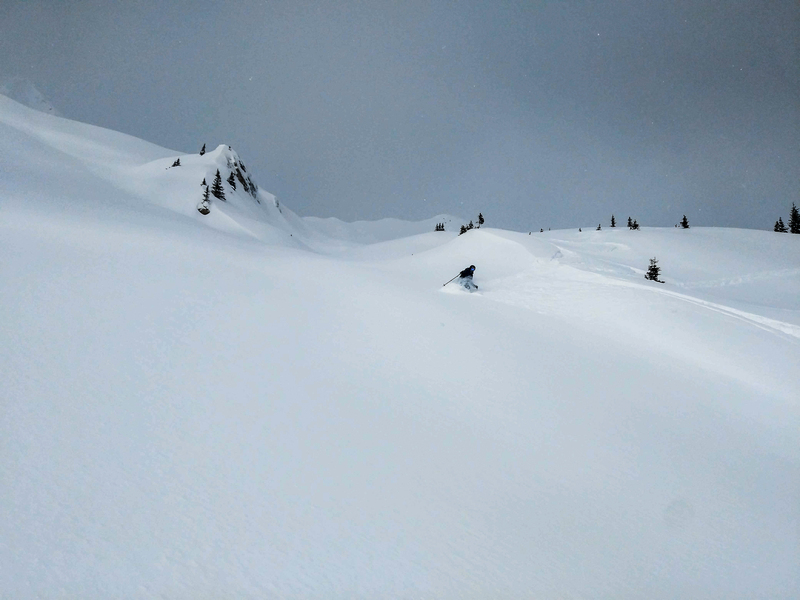 If you are looking for a reasonably accessible alpine zone with potential for long turns in perfect powder, Ogden Bench and Sherbrook lake are a perfect destination.